As I mentioned earlier, due to swelling in my hand and fingers along with pain, I went to a Rheumatology specialist. She suspect I am in beginning stage of Rheumatic Arthritis (RA), even though the first test done by family physician turned out to be negative. She prescribed for another set of blood work. Now I am in high dose of corticosteroids. Pain has comes down a lot, still have it. It is really daunting to hearing about RA. While reading I got a shock treatment already. My hubby still thinks I don’t have it and I hope he is right. I will not lose hope until the results comeback. My RA doctor told me as I am Indian, and use lot of spices, lentils in cooking I don’t need to change diet. Still needs to add extra dose of veggies, spices, beans which boost my immune system and can help to reduce inflammation. After coming back from the Dr. appointment, I made this Peechinga/ Ridge gourd curry for our dinner. This Ribbed gourd, Ridge gourd, Luffa acutangula, Tori , peechinga is common vegetable used in India. The young fruit is about 2 feet which is dark green in color is used as vegetable, where as the mature ones are used as bath sponge. In ayurveda, this plants helps to reduce vitiated vata dosha(swelling or distention of the abdomen, rumbling sound of the intestines. ), pitta dosha, skin diseases, jaundice, splenomegaly, hemorrhoids, and general weakness. I believe in Ayurveda (natural medicine) as I am from the land where it is still practiced. Now with this pain I am turning more into it as I am afraid of side effect from the medication. I know for an immediate relief I have to stick to medicines prescribed by the doctors. I like to make the spicy curry with ridge gourd, as the ridge gourd makes the final curry little sweet. I like to add tomato, onion and ginger garlic along with spices. This curry goes well with any bread of your choice. It is easy to make give it a try. Here comes the recipe. Delicious slightly sweet and spicy curry goes well with bowl of rice. First peel the skin of ridge gourd and cut it into 2 inch cubes and set aside. In a pan heat oil and add mustard seeds, fennel seeds and cumin seeds. When mustard seeds starts pops add chopped onion and green chili and fry for about 6 minutes or until onion become translucent. Then add ginger-garlic paste and fry for 1-2 minutes. then add chopped tomato and fry until it become mushy. To this add chopped ridge gourd/ peechinga, salt and water cook until gravy thickens. Switch of the flame and enjoy with rice or roti or bread of your choice. Get well soon, Swathi! I hope you nothing serious dear! 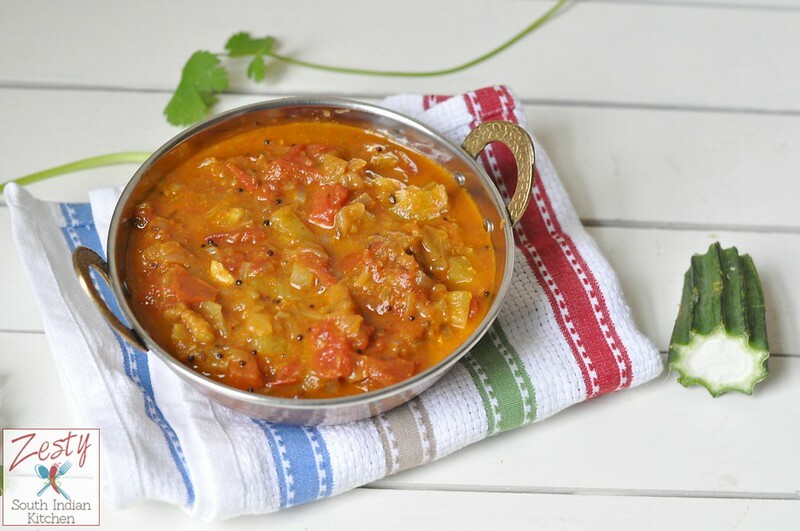 Your Peechinga curry/ Ridge gourd Curry sounds so delicious! I am a big fan of Indian Cuisine! !Pinned, tweeted and shared on g+! Thanks Haida, I feeling better waiting for final result. I love ridge gourd and always get them during summer when they are especially tender. I like how you cook it with spices and tomatoes. Hope the pain has gone away by the time you read this. Continue having more spices and vegetables to cut down the inflammation. Thanks , yes I am in search of veggies and spices to boost my immunity. 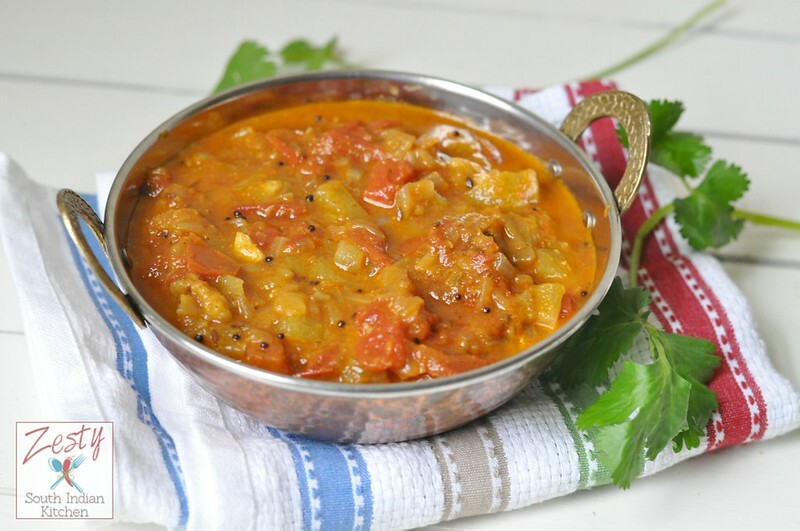 Take care of yourself swathi,With kids its really difficult,i know.The curry looks really delicious by the way.off late i am including a lot of ridge gourd in our diet.Do check for any recipes related to ridge gourd in my space. Thanks Sathya, sure I will look it into the recipe. Thanks Ramya, next time I will try to make it as your mother’s way. Hope you feel better soon Swathi..Will definitely remember you in my prayers. Have a lot of fresh fruits and veggies everyday and I am sure you will be fine soon. By the way, the peechinga curry is looking awesome..I have never tried anything with this vegetable except for thogaiyal and love to try this curry now..Will let you know how it comes out. 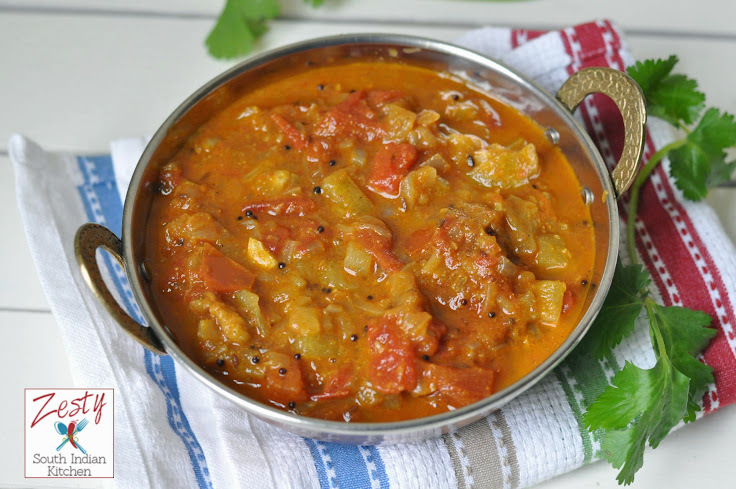 very nice ridge gourd curry .goes well with almost all dishes..
delicious curry!! looks very tempting!! My sister in law has RA since the age of 30 and I know that it can be a very painful condition. I hope your tests come out negative. The curry looks deligious. Lovely curry and looks yummy !!! Very nice homely touch, luv the peerkangai curry with pipping hot rice! Swathi, so sorry you’re in pain. I hope conclusive tests will reveal you have something that is only temporary. I have an older friend, much older than you, who has had RA for years. It has been slow moving, so that is good. She is a landscape painter. Will be thinking of you. ~ Your spicy gourd dish looks delicious! need patience to write a like this,mean very neatly,good pics that too one by one.I prefer collage mostly which is easy up load. urs is Best blog da..Even i cook this curry.very healthy.